I’m hard pressed to tell you my favorite song, movie, or place to eat, but when we start talking plants I can come up with whole categories of favorites. 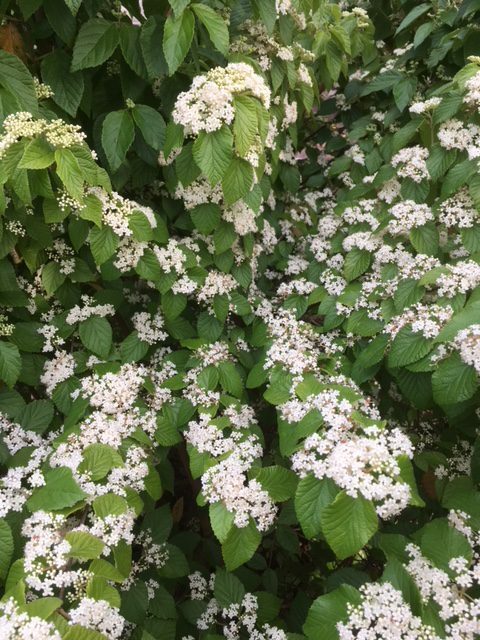 I won’t commit to just one species, but when it comes to woody shrubs I am a huge fan of viburnums. We have small ones, tall ones, evergreen, deciduous, smooth leaves, textured leaves, berry producers and sterile types. There are so many different types there must be one for every gardener. 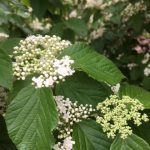 I thought I knew a lot of viburnums after spending ten years in the nursery industry, but had not seen Luzon Viburnum, Viburnum luzonicum, until Dr. Gary Knox gave one to me in the fall of 2014. 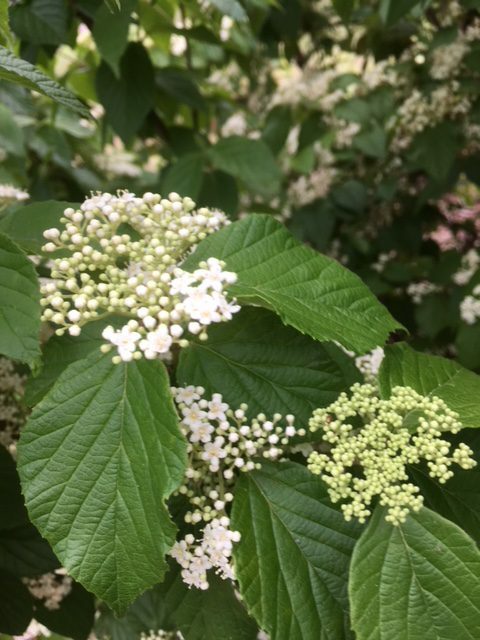 The plant was little more than a couple of stems and light green leaves, but he assured me it would get large and would perform well in the Florida panhandle. That scrap of a plant went into a large, non-irrigated, full-sun bed in my yard and was hand-watered through the first summer, but after that has been left to fend for itself. 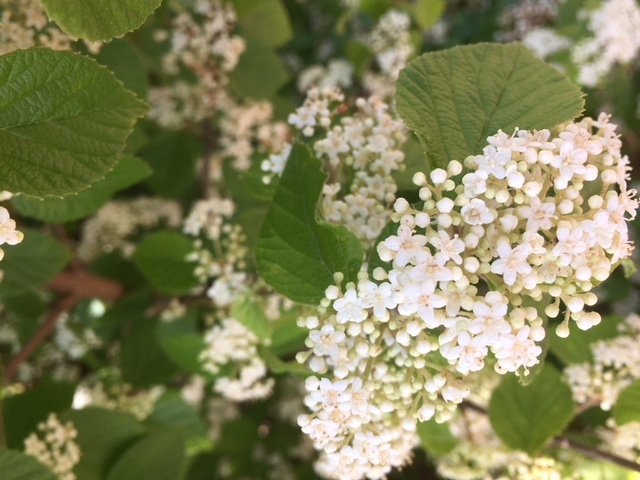 My Luzon viburnum is currently over 6 feet tall by 4 feet wide and covered in flowers. It gets no TLC in my landscape, but has yet to be plagued by any pests. 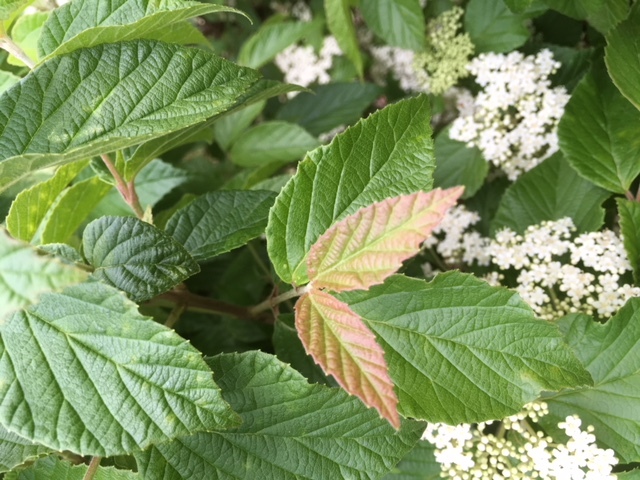 The foliage emerges with a slightly pink tone then settles into a light green usually starting in February or March. 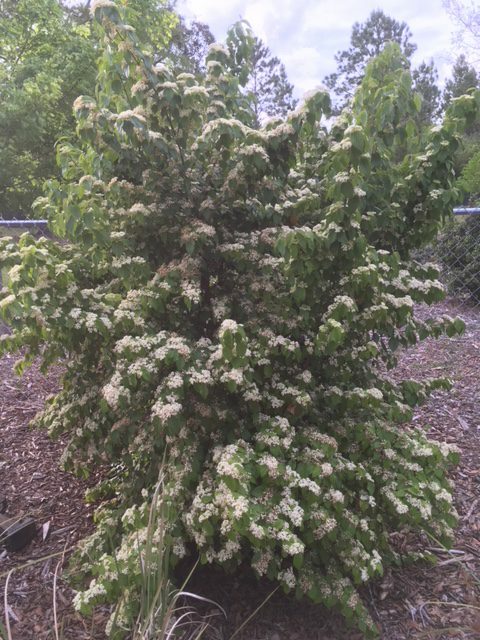 By late March clusters of small white flowers cover the shrub. It is reported to have the potential to produce berries that transition from red to black, but I have not yet observed that in my garden. This is not a plant you are likely to stumble across in most garden centers, but is worth keeping a lookout for in case you see it. 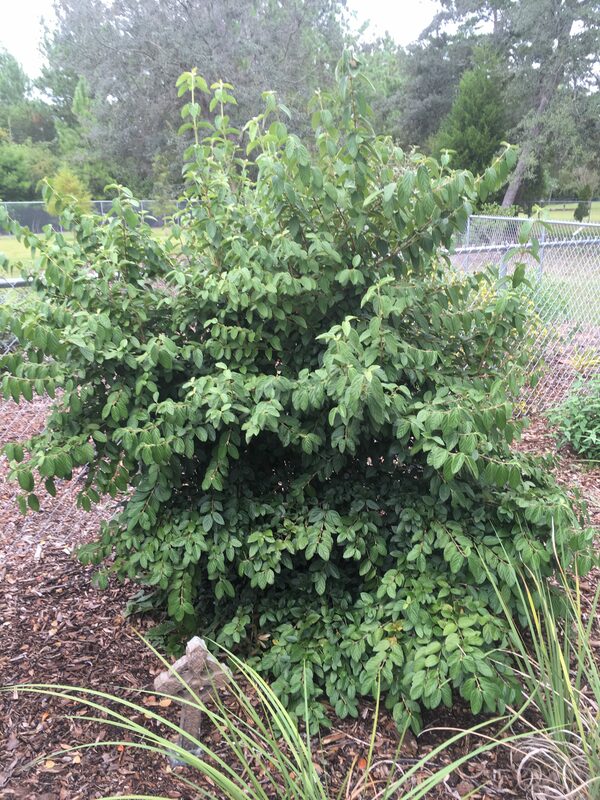 It is on display with many other wonderful plants in the Gardens of the Big Bend at the UF/IFAS North Florida Research and Education Center (NFREC) in Quincy and in the past has been available at Gardening Friends of the Big Bend plant sales. For more information about this plant see Missouri Botanical Garden webpage.